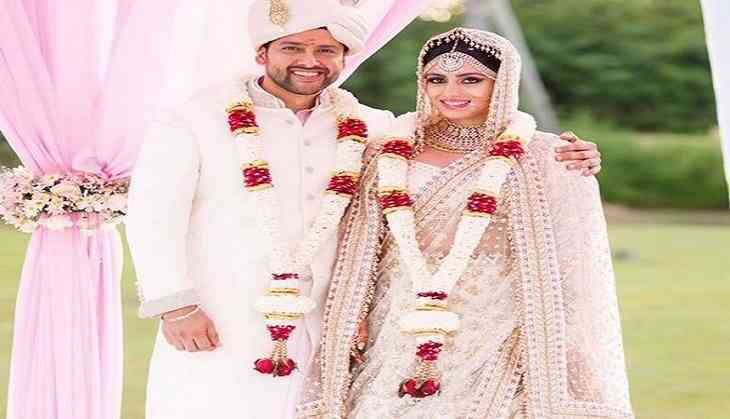 Aftab Shivdasani and Nin Dusanj have renewed their marriage vows in an intimate and beautiful wedding ceremony in Sri Lanka. The celebrations took place over a span of two days - with Mehendi and a party on the beach on the first day, followed by a Hindu ceremony and a Buddhist blessing with local Sri Lankan monks. Aftab, who donned Troy Costa for the ceremonies, entered on an elephant, while Dusanj, wearing Yoshita couture, was carried on a Doli.